SUNY Oswego is committed to making your transition to the university and to the United States as seamless as possible. The International Student and Scholar Services Office (ISSS) provides many services to help you adjust to campus life including a New Student Orientation, programs and events, support with cultural adjustment, and more. 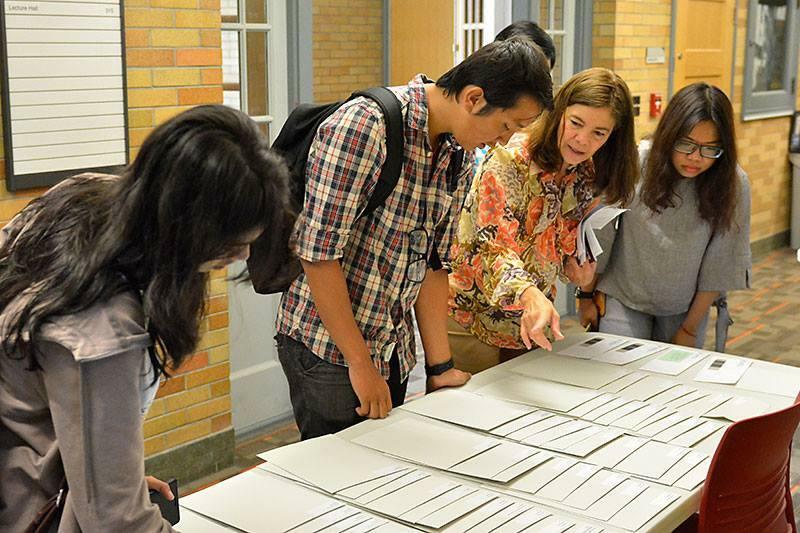 We welcome international students and scholars in an effort to promote a culturally diverse learning environment and to enrich the quality of teaching and research at SUNY Oswego. "SUNY Oswego welcomes you with open arms. We have a long and enduring tradition of international education dating back to our founding over 150 years ago. International students and scholars are a strong and growing presence on our campus, now from 34 countries. Our commitment to international education will continue and we welcome your creativity, intellectual rigor and cultural diversity to our campus this coming year like every year. See you soon on the shores of Lake Ontario." If you have any questions about what Oswego has to offer international students like you, applying for admittance to the university, or preparing for life in the United States, please contact the Office of International Student and Scholar Services at isss@oswego.edu. For the latest news and events about international student life at SUNY Oswego, follow the International Student and Scholar Services Office on Facebook.